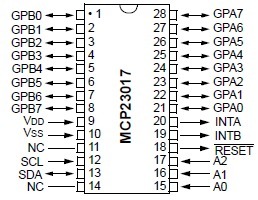 The MCP23017 provides an easy, cheap and effective solution by providing an extra 16 lines of I/O which can be written to and read from through the I2C interface that most microcontrollers provide. Don’t forget to wire all the Ground Pins of each Led to the Arduino Ground. 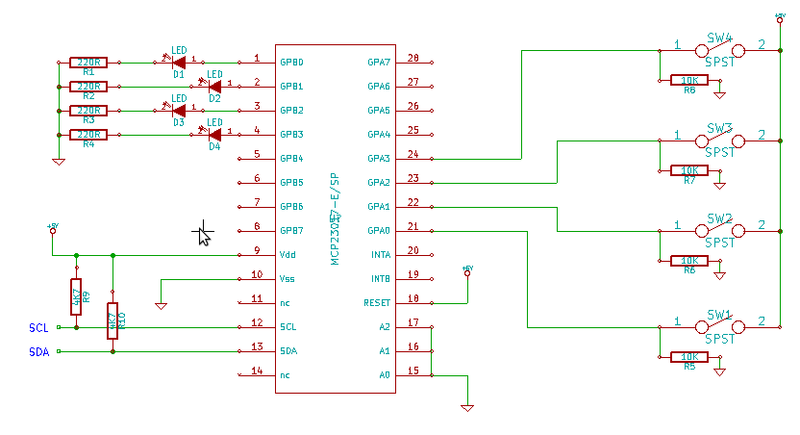 Also connect all the tact pins(-) via 10Kohm Resistor to the Ground and all the tact pins(+) to the +5V.